As if you couldn’t tell, here are 10 signs that your sweet baby is becoming a (gulp!) toddler. Take a break from the same boring old bbq routine and try out this yummy, kid-friendly Teriyaki Chicken Burger! Speaking of barbecues, if you’re looking to keep a group of kids busy at a summer cook-out, this tricycle car wash is fun for a large age range! If you’re heading out on a road trip this summer, here are some great tips for keeping kids busy (and parents sane!) in the car! How much do you think about your family’s environmental impact? Do you recycle, shop for green cleaning products, carpool? Here is the story of one mom who decided she would raise her child to leave behind zero carbon footprint! It’s a lot tougher than it sounds! And last, but definitely not least, we shared a new promo code! 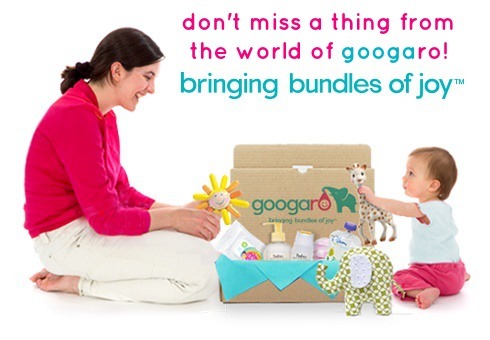 Visit googaro.com and use promo code JULY10 to receive 10% off! Check back each Saturday for our Googaro Week in Review! Join us as well on Facebook, Twitter, and Pinterest! This entry was posted in Week in Review and tagged barbecues, Facebook, Googaro, motherhood, Pinterest, Twitter by googaro. Bookmark the permalink.